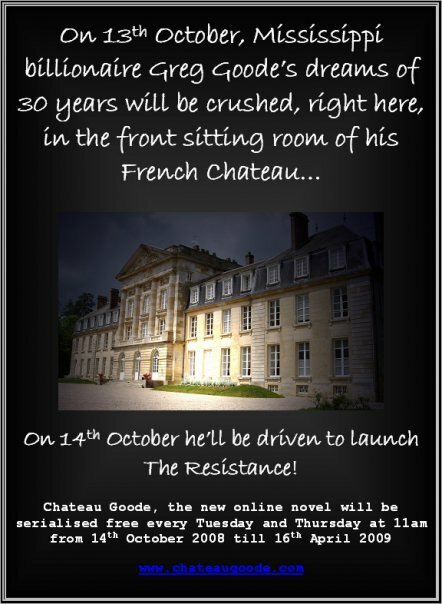 Between 13th October 2008 and 16th April 2009, retired American businessman Greg Goode kept an intimate blog documenting his personal crusade against food fascism and fitness gurus. 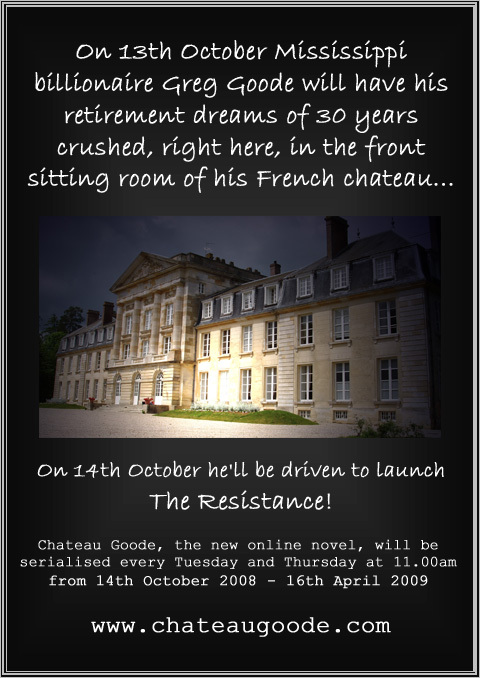 Campaigning in secret from a tiny bee-man’s cottage on the edge of his rural French estate, Greg believes he is canvassing support from an online army of loyal partisans. Unfortunately however, he doesn’t have any readers. He does have plenty of funding to put his increasingly grandiose schemes into action though. And whilst money may not buy you happiness… it can buy you all the escapism you need. This is Greg’s own account of the most emotional six months of his life. The edited document 2013: Extracts and an extended synopsis (but you’ll need to drop us a line for the password).